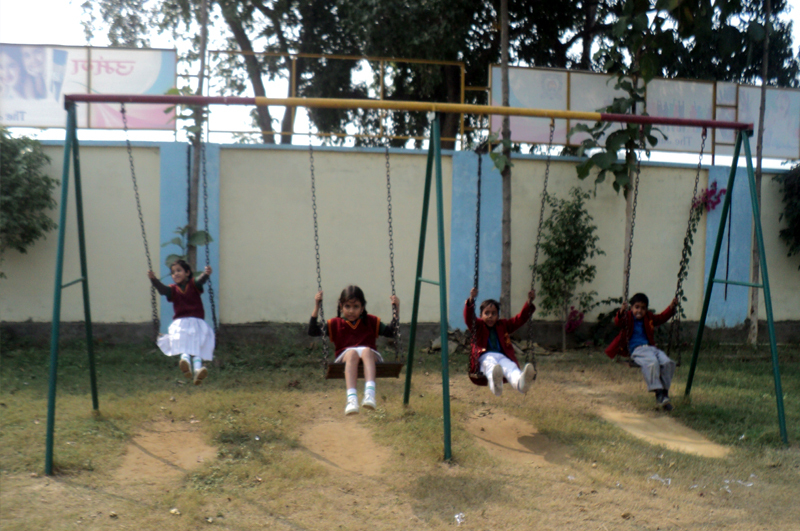 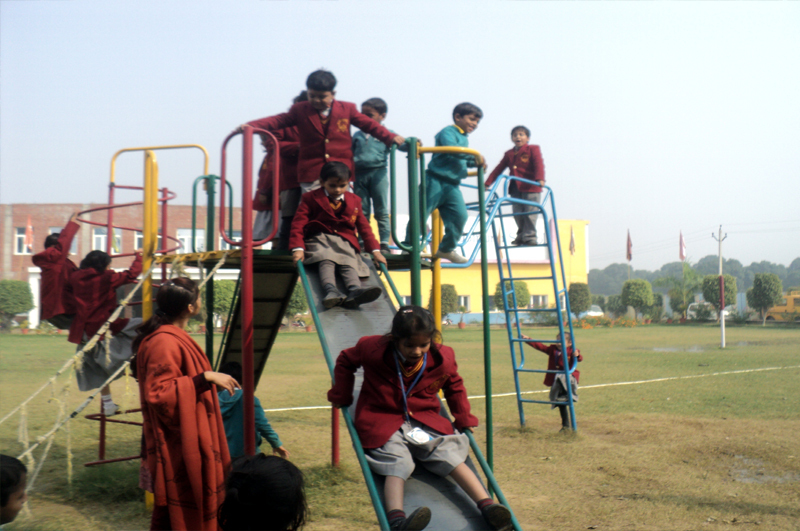 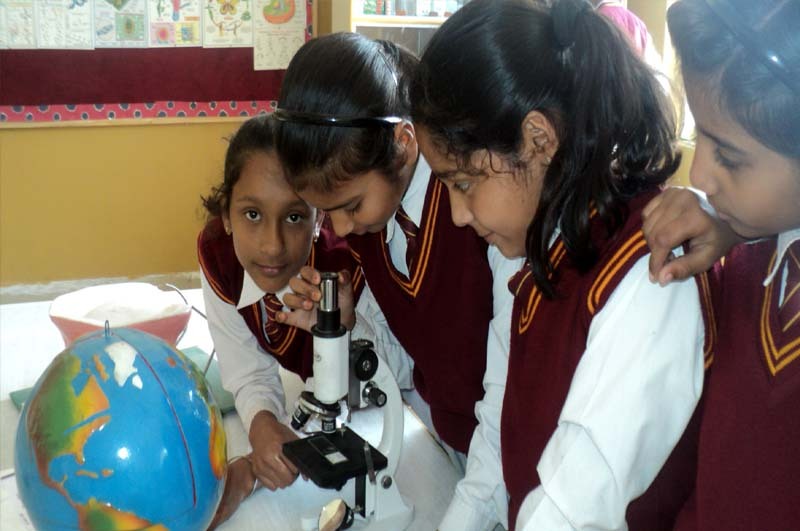 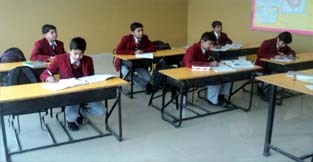 Sprawled in an area of about 5.5 acres of land, the school has a lush green landscape that adds to the picturesque beauty and magnificence of the building. 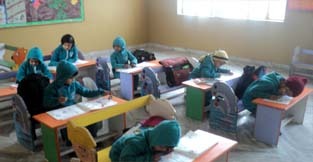 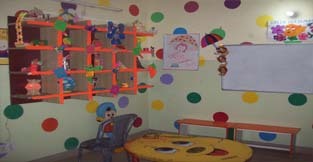 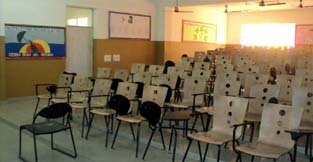 The school building is a complete statement of the quality education it provides to its students. 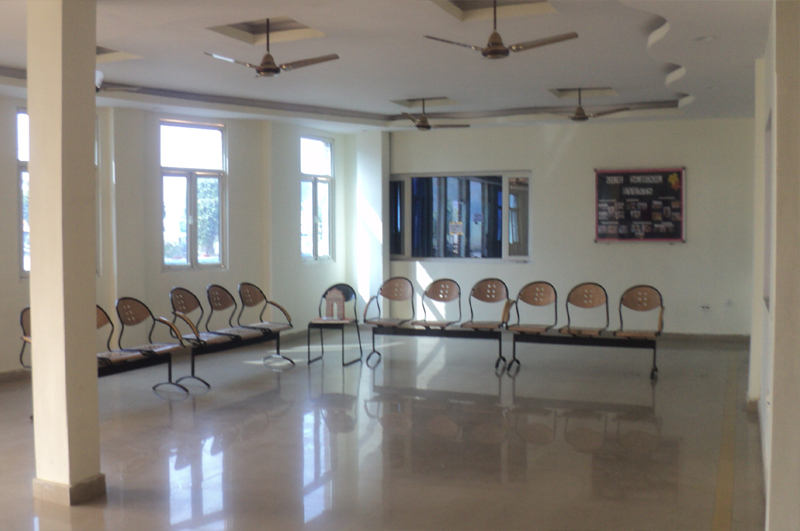 The state of the art infrastructure of the school and the finesse with which the building has been designed speaks for itself. 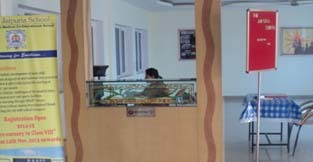 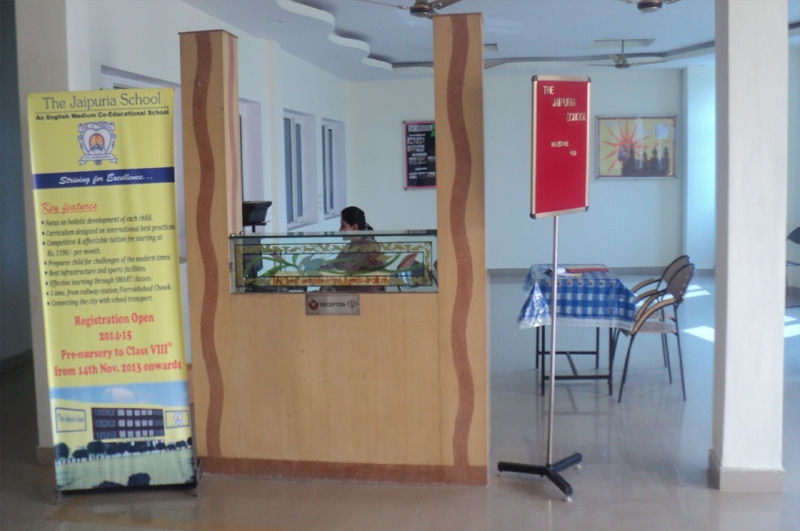 The four storey building with the latest architectural design is equipped with all modern facilities. 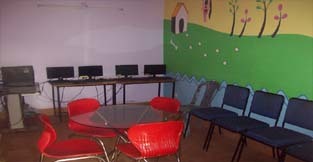 A cluster of computers, printers, scanners and other peripherals augment the four laboratory set ups that provide an opportunity for students to gain proficiency in computer. 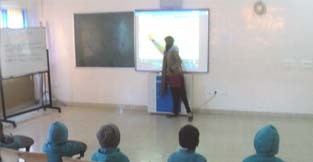 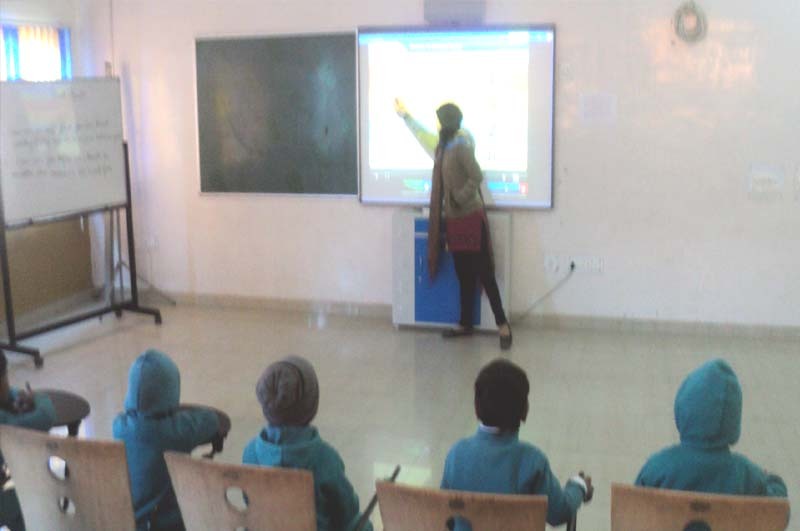 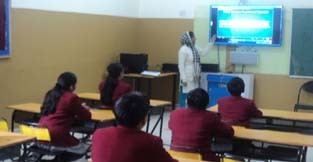 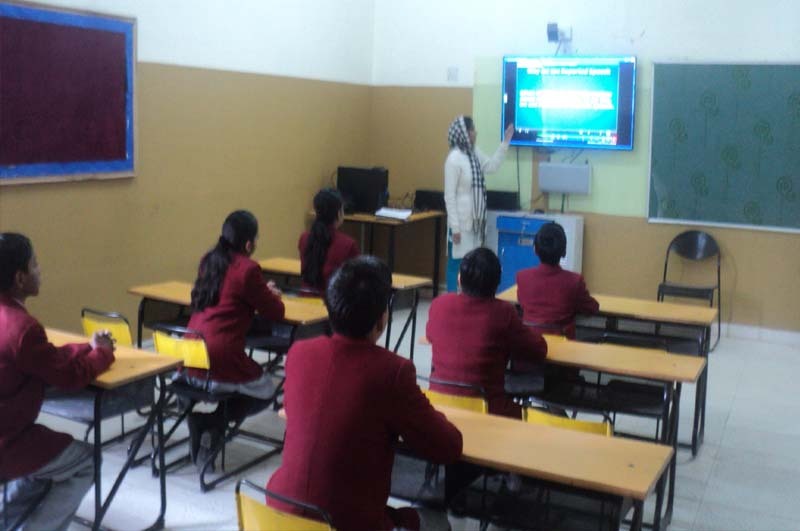 The superior layout, design and décor of the air conditioned classrooms with smart boards allows uninterrupted learning without any distraction. 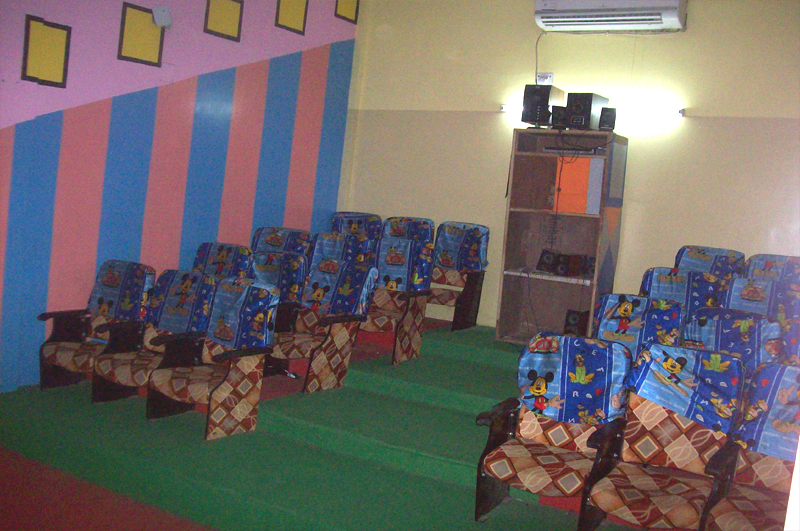 Attention to the colour scheme, lighting and furniture aids concentration and is conducive in the assimilation of knowledge in the classroom. 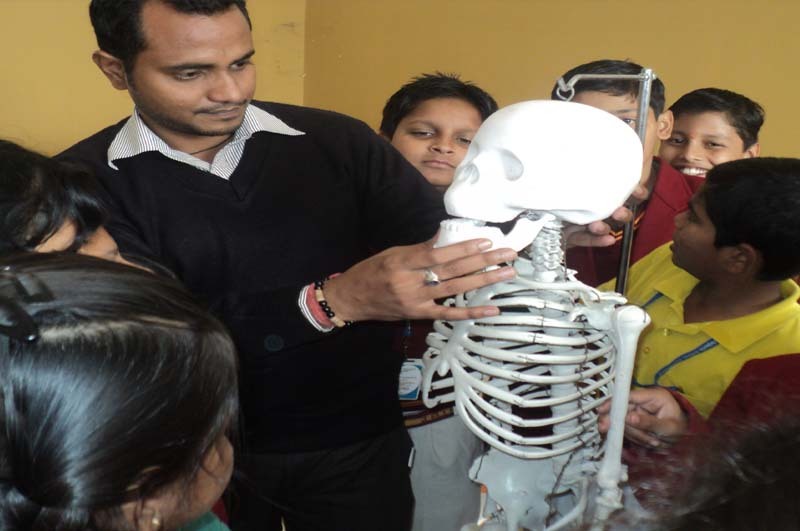 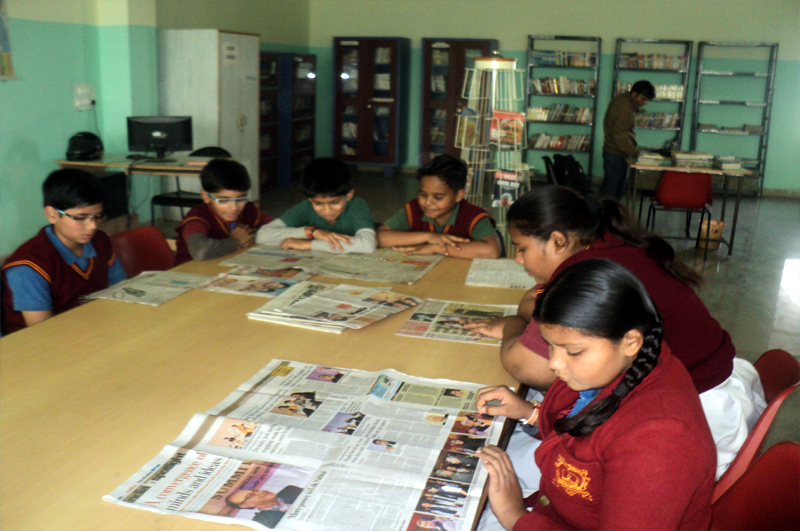 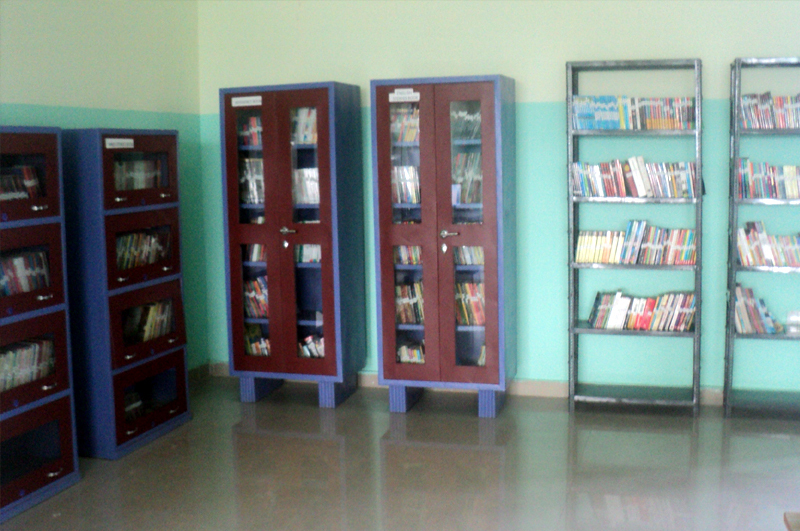 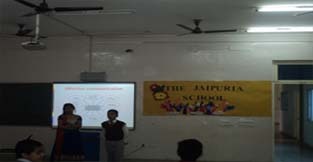 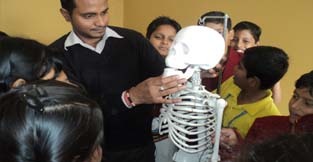 Libraries at Jaipuria can be defined as dynamic learning centers loaded with information on almost every topic that cater to the needs of students and create in them a passion for reading- a hobby that will stand them in good stead all through their life. 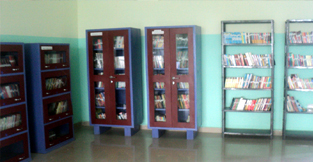 Separate libraries for junior and senior students makes possible for students to have an easy access to books according to their level and interest. Social interaction, ethical behavior, graceful acceptance of victory and defeat are some of the attributes one acquires on a sports ground and in a broader sense it is a training to take up challenges in life. 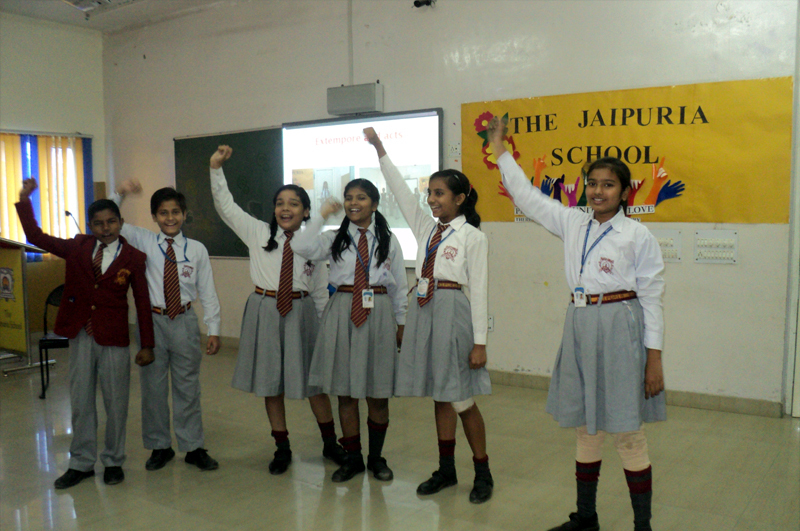 A vast playground with volleyball and basketball courts is witness to the spirit of sportsmanship nurtured in Jaipurians at an early age. 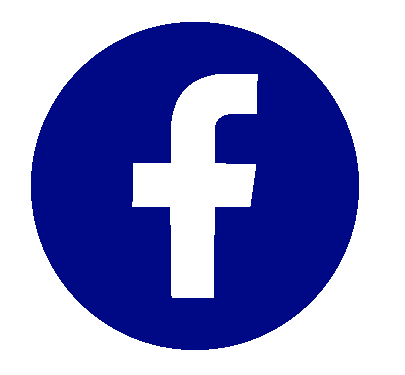 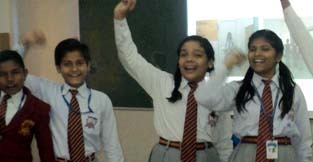 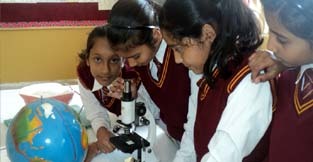 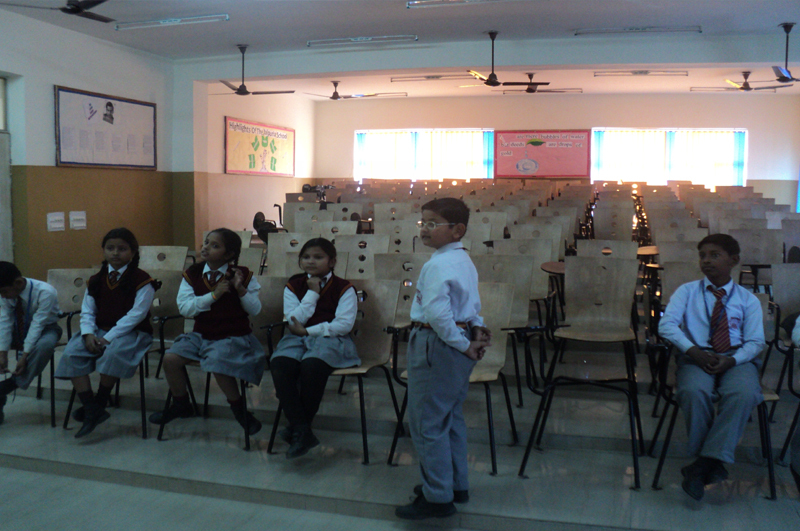 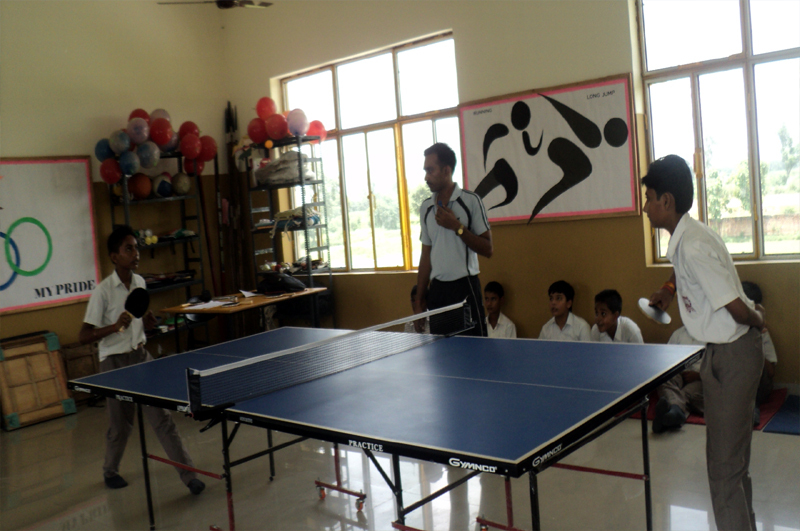 Numerous activities like interhouse competitions, lessons in dark, workshops etc. 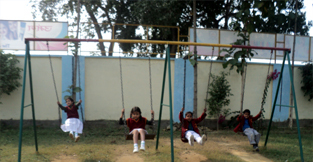 are held from time to time. 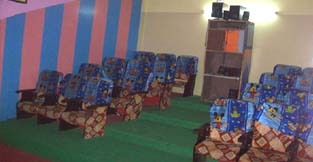 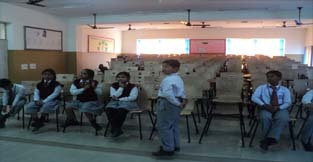 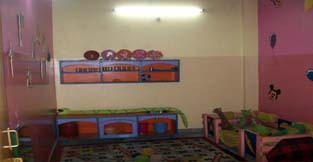 Two multipurpose halls well equipped with audio-visual aids, projectors etc. 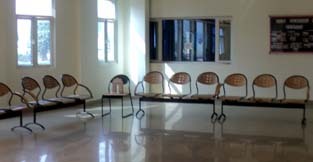 and ample space to accommodate a multitude of students suffice to the necessity for effective conduction of various events and presentations.